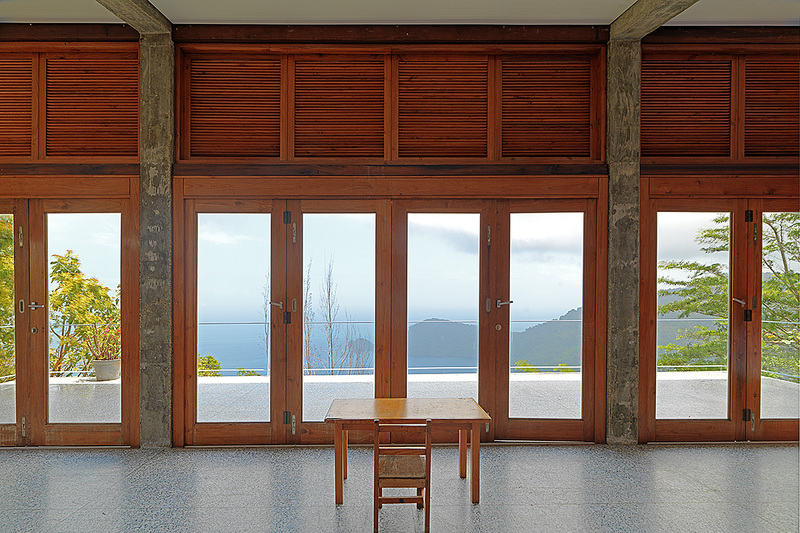 Tucked away on a remote hillside overlooking the north coast is an artist’s house and studio designed by Jenifer Smith Architects. 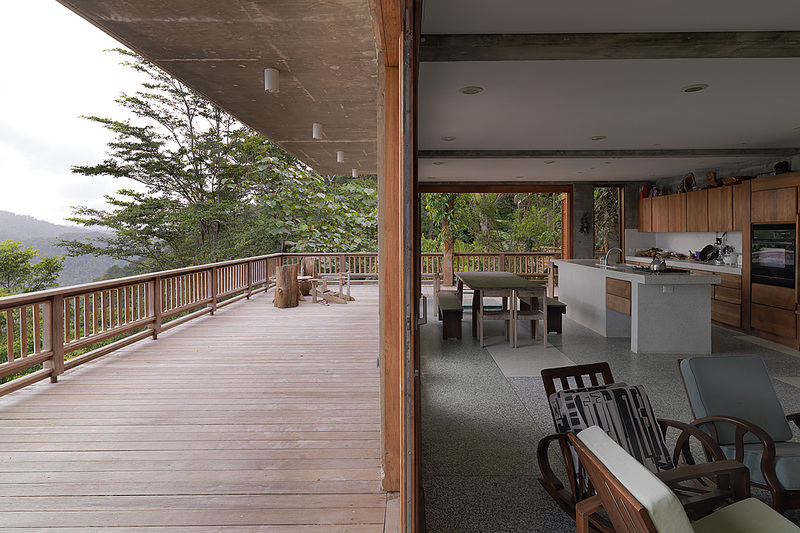 The house enjoys an inspiring view over the north coast and is made up of three elements; the main concrete building with a double height studio and living spaces, a single-storey timber cottage housing the bedrooms and a separate caretaker’s cottage still under construction. 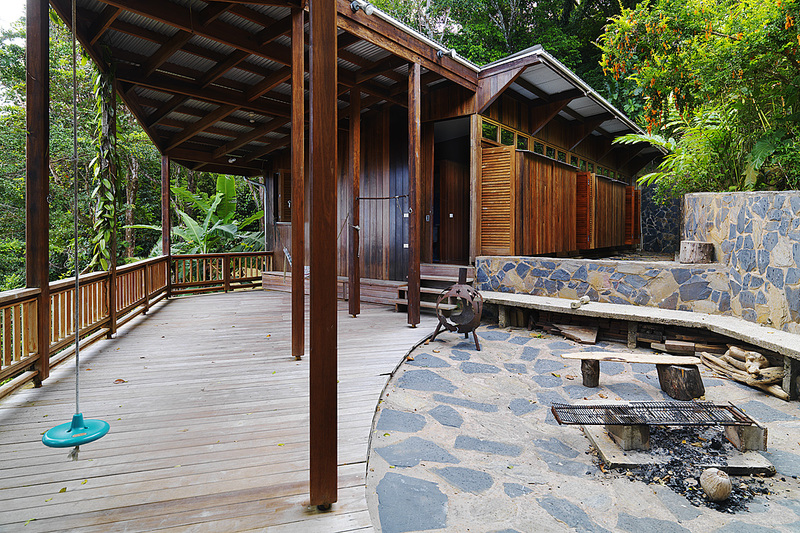 Building in a remote location bordering on a tropical jungle has its challenges. The choice of materials and construction methods are important, the lack of services is another. 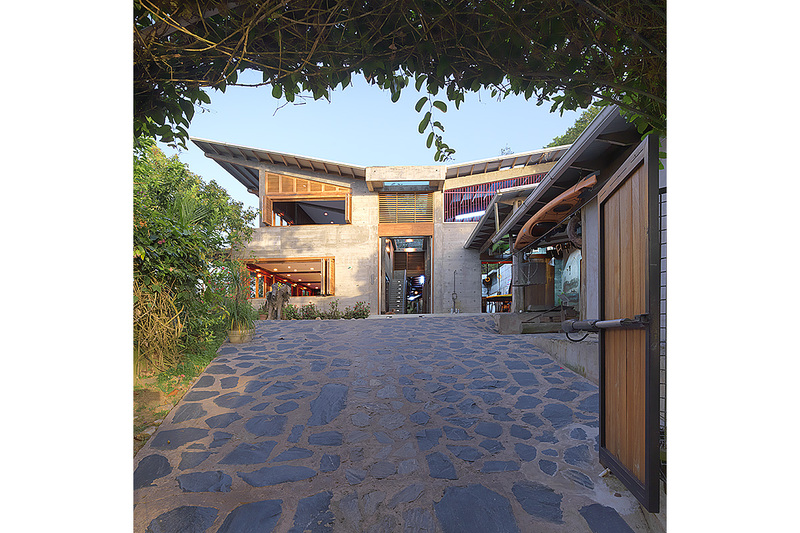 This house is designed to overcome these challenges by providing a huge underground water storage tank supplied by roof water from the galvanized roofs and electricity is created from an array of rooftop photovoltaic panels. The main building is organized with a central spine illuminated by a glass skylight along its entire length. 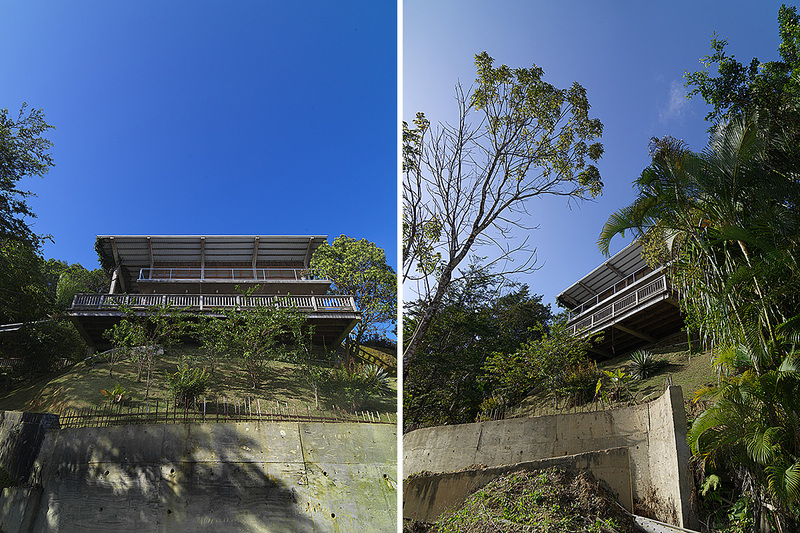 On the side against the hill is the double height studio with mezzanine and on the opposite side overlooking the view are the living spaces with a large cantilevered timber terrace. 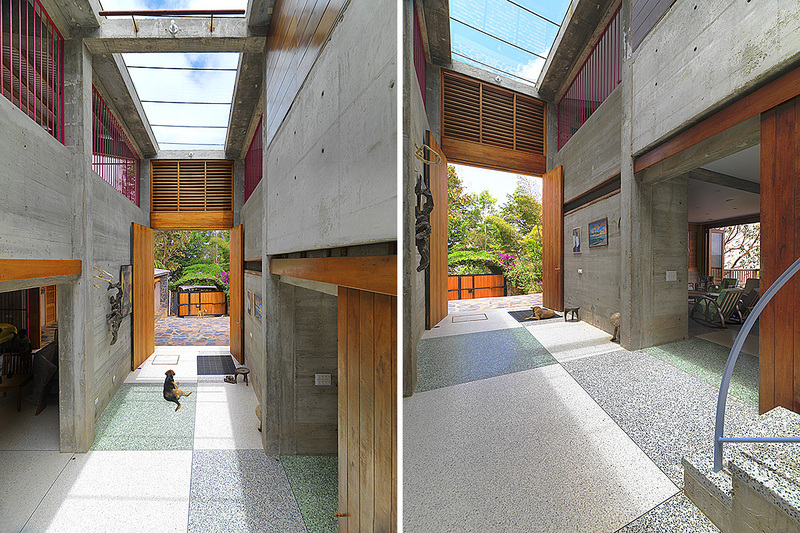 Above the living spaces is another multi-use space with a smaller concrete cantilevered terrace. 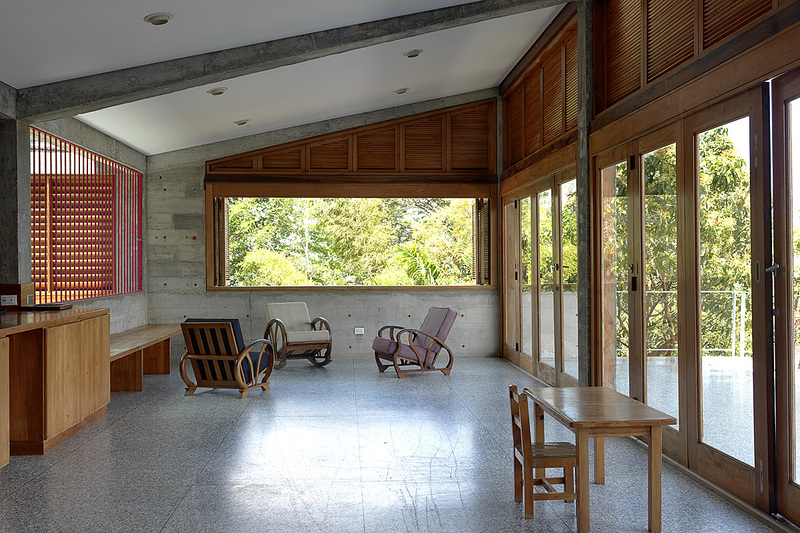 Materials are generally natural, with extensive use of fair faced reinforced concrete walls, floor slabs, columns and beams and raw timber doors, windows and cupboards. 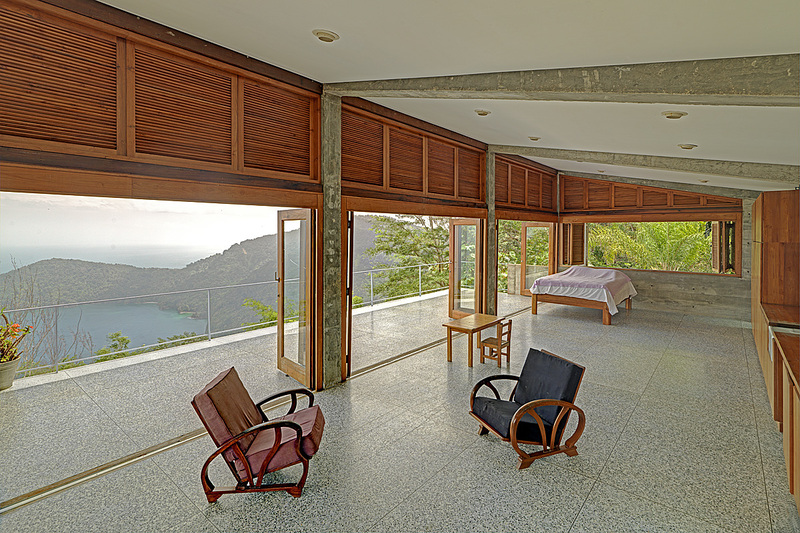 Floors finishes are either timber in the bedroom, terrazzo in the living and studio areas or rubble stone in the driveway and some outdoor areas. 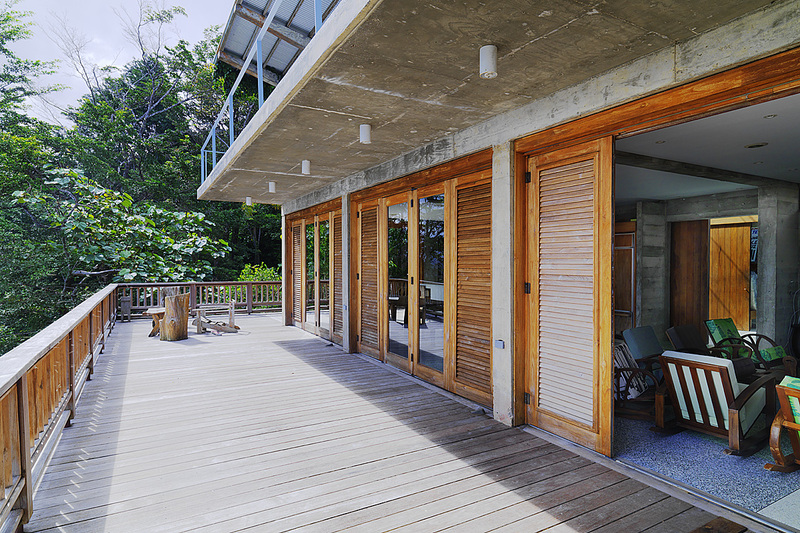 The house is very open and the cool tropical breezes move freely through the house. 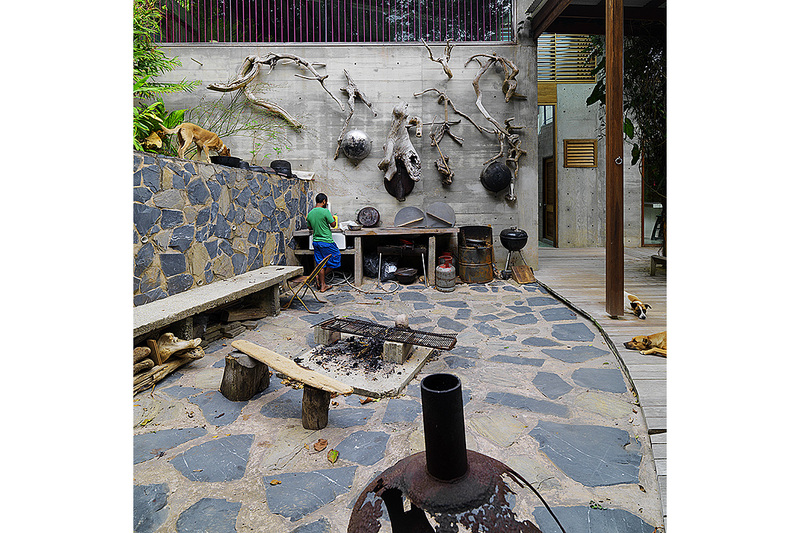 A number of friendly pet dogs guard the household that is sometimes only occupied by the housekeeper and his family. 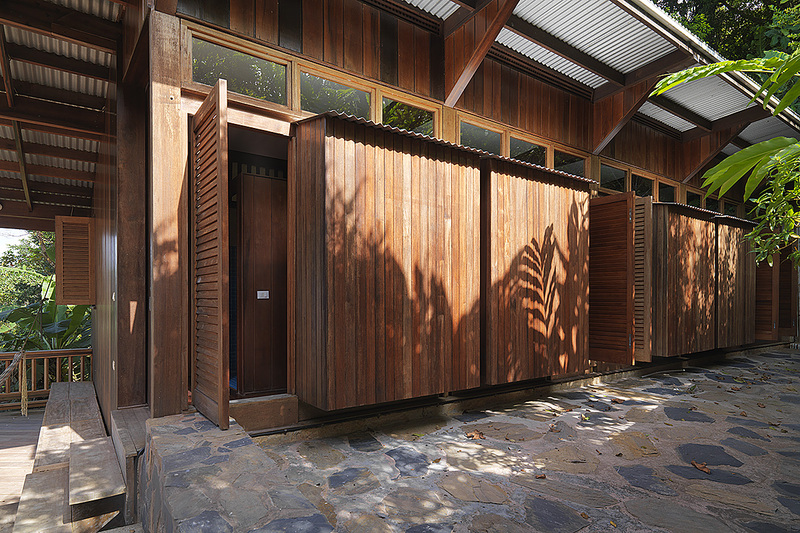 The main challenge to photographing the artist’s house and studio was the difficult of finding a suitable location on the steeply sloping hillside terrain. I had to be satisfied in making obtuse compositions from below the house during the morning period when the sun was on the east facade. The main entrance to the house was the only other view and this was facing west so I quickly decided that this was going to be the dusk shot. 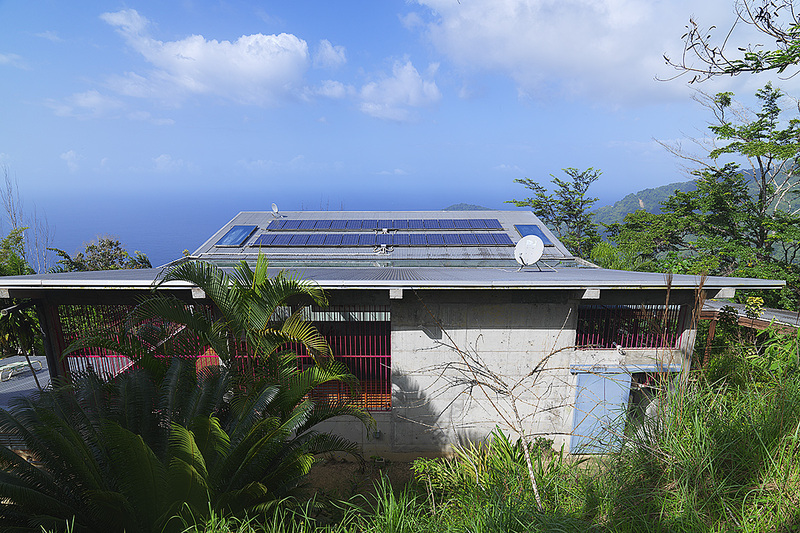 I also managed to climb up on the hillside behind the house to capture the roof profile showing the photovoltaic panels since this was obviously one of the main features of the house. 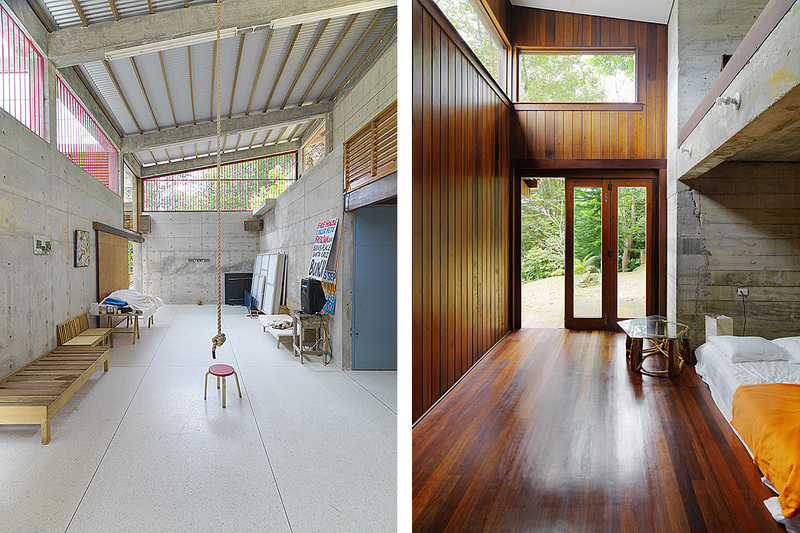 Another challenge was the degree of contrast when shooting interior spaces that also included exterior views. Using the Hasselblad I was able to make use of the 12-stop dynamic of the 50 MP back and, when necessary, Photomatix software to fuse bracketed images. For the dusk shot I was able to determine the required lens very accurately with my ALPA ACAM Super Converter. I decided to shoot the dusk shot with the Sinar arTec view camera fitted with the Hasselblad 50 MP back tethered because it allowed me to use a 6mm shift with the 23 mm Rodenstock lens to control the perspective. I shot images every 2 minutes from about 6:15 PM to 6:45 PM and retired for a stiff drink after a long day!